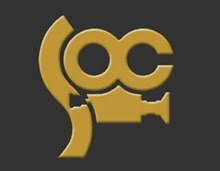 PREMIUM FOOTAGE STORIES IN REDCODE RAW 4K+ FILES. RED cameras in REDCODE RAW Format. 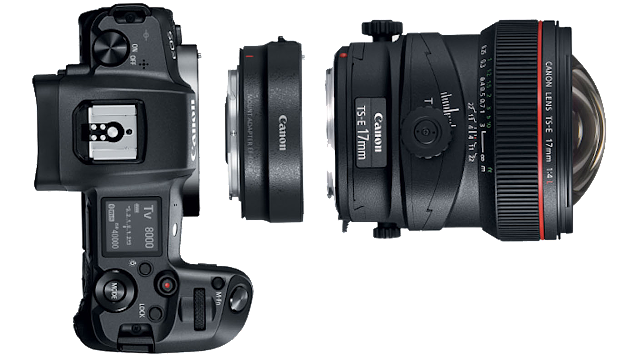 Canon released its new professional EOS R Mirrorless Full Frame Camera System with a 20mm flange distance and 54mm mount, along with four new RF mount lenses, the RF 28-70mm f/2L USM, RF 50mm f/1.2L USM, RF 35mm f/1.8 Macro IS STM, and RF 24-105mm f/4L IS USM and three separate mount adapters are being made available, with one standard EF-to-RF Adapter, an EF-to-RF Adapter with Control Ring, and an EF-to-RF Adapter with Drop-In Filter System. 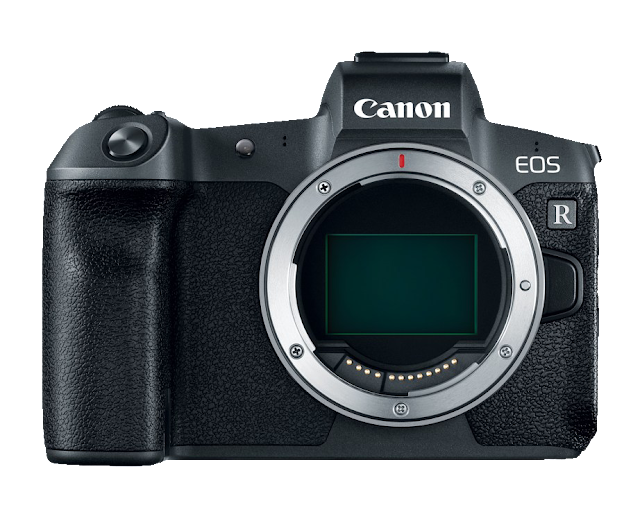 The EOS R packs a 30.3MP CMOS sensor with Dual Pixel CMOS AF technology and the latest DIGIC 8 image processor making possible to work with native sensitivities to ISO 40000, which can be expanded to ISO 102400. The AF system is, perhaps, the shining achievement of Canon’s camera, because it has an insane 5,655 focus points with 100% vertical and 88% horizontal coverage of the image area and includes functions such as Eye Detection AF. 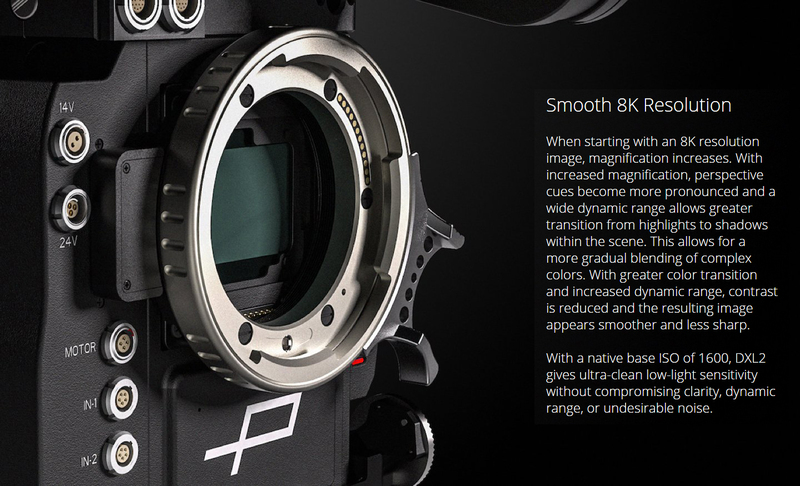 It can even support f/8 and f/11 lenses in all AF areas. At the rear of the camera, you will find a 0.5" 3.69m-dot OLED EVF for eye-level viewing. The comfortable 23mm eye point is designed to allow space between your face and the camera body. The other rear display is a 3.15" 2.1m-dot vari-angle touchscreen LCD that provides all the benefits you would expect in a Canon body, including touch-and-drag AF. Completely new is the multi-function bar, which can be customized for fast, intuitive access to many commonly used features. The top panel has a dot-matrix LCD for checking current settings and camera status. The EOS R comes with UHD 4K video at up to 30 fps, including the ability to record in Canon Log for wide dynamic range capture of up to 12 stops. 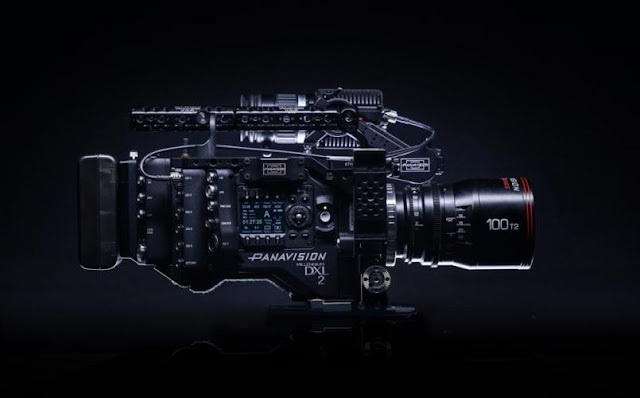 Boosting quality, videographers can output 10-bit 4:2:2 to an external recorder over HDMI using Canon Log or even the BT.2020 color space for wide color applications. Full HD shooting will be possible at up to 60p while standard HD has slow-motion, 120p recording. Focus Peaking and the Dual Pixel Focus Guide will help keep everything in focus. 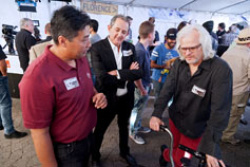 Introducing flowtech™. 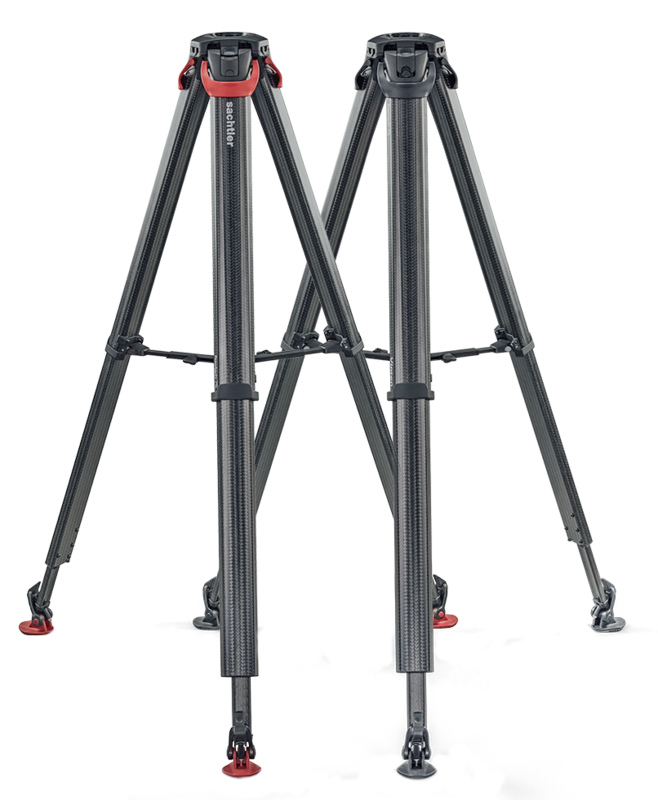 The world’s fastest tripod legs. 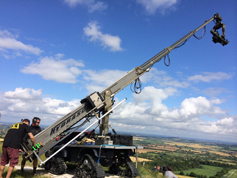 Performance tested in extreme conditions, the unique flowtech™75 is easier and faster to deploy and adjust than any other tripod, giving the camera operator ultimate versatility and improving their workflow. 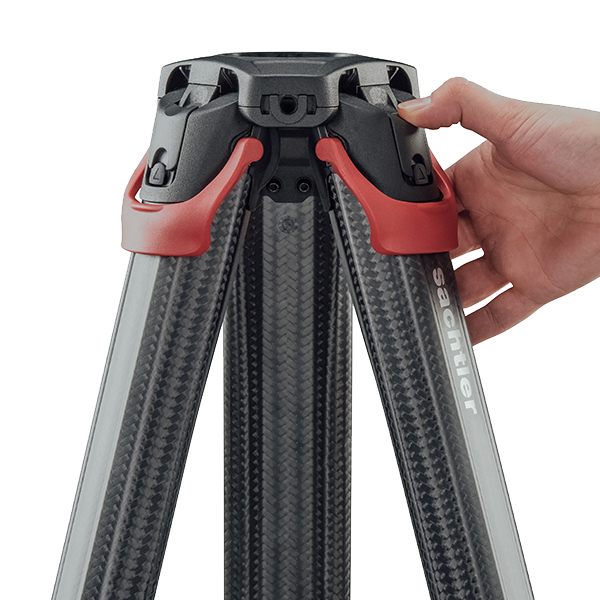 2-stage 75 mm carbon fiber tripod with unique quick release brakes for instant and easy deployment, ergonomic carbon fiber design with strong magnetic legs locks for comfortable transport, exceptional torsional stiffness and a versatile hinge lock mechanism for low and high shots. flowtech™75 is a 2-stage 75 mm carbon fiber tripod with unique quick release brakes for instant and easy deployment, ergonomic carbon fiber design with strong magnetic legs locks for comfortable transport, exceptional torsional stiffness and a versatile hinge lock mechanism for low and high shots. 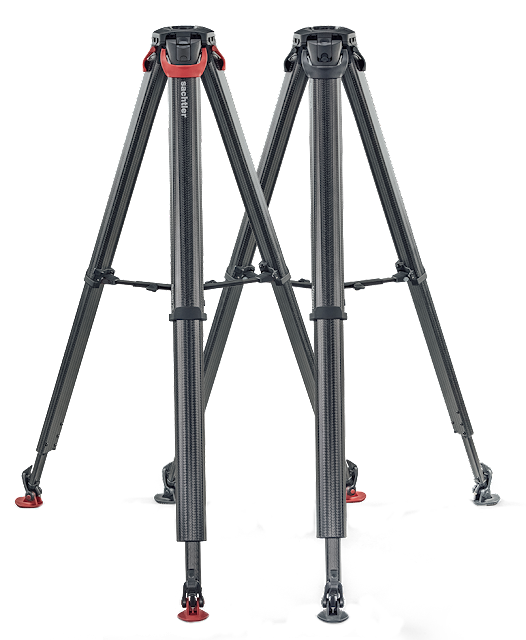 The Sachtler System FSB 8 Touch & Go fluid head with flowtech™75 carbon fiber tripod legs offer a professional tripod system for videographers who use cameras weighing up to 10 kg / 22 pounds. The FSB 8 head provides friction-less leak-proof fluid drag with five levels of drag, for perfect pictures while panning, without jerks and vibrations. Identical across both horizontal and vertical planes, and allows complete disengagement of drag for fast panning. The system includes a mid-level spreader and bag. Height range in spreader less mode: 41 - 169 cm (16.1 - 66.5 in); height range with mid-level spreader: 78 - 173 cm (30.7 - 68.1 in). 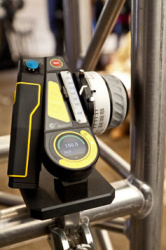 Supports cameras to up to 10 kg / 22 lb. Friction-less Leak Proof Fluid Drag. Sachtler's Touch & Go plate mechanism Dynamic Counterbalancing System. Operates without any frictions from -40° to +60°C / -40°F to +140°F. Unique quick release brakes. 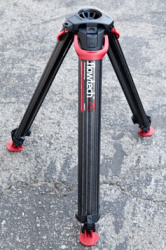 Deploy and adjust your tripod in an instant. New ergonomic carbon fiber leg design. 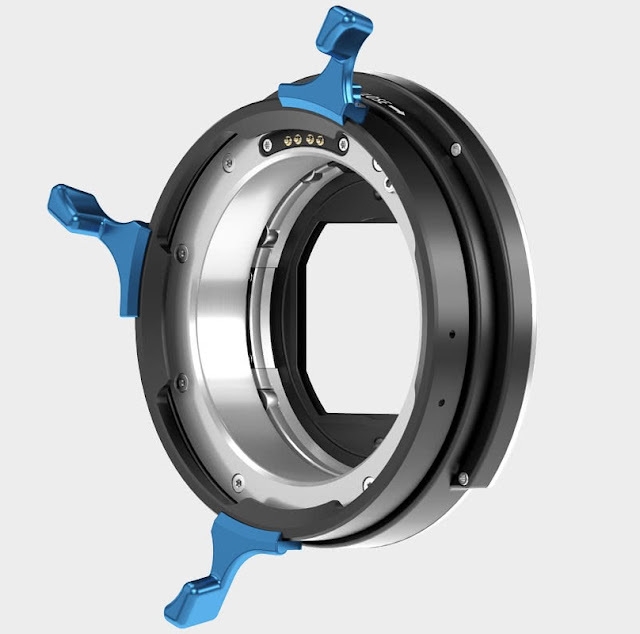 Easy to transport and exceptional torsional stiffness.Versatile hinge lock mechanism. 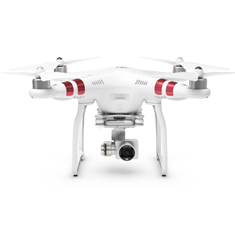 Capture extremely low and high shots. Extensive endurance and environmental testing. Superior performance and reliability. Sony THOUGH is the world's toughest and fastest SD memory card, with a monolithic construction with high hardness materials have resulted in the world's highest level of bend strength, 18 times greater than the SD standard (180 N). This design eliminates the risk of physical damage and protect the data recorded onto the card, ideal for busy professional photographers even under severe shooting locations. The monolithic construction with rock-solid materials provides shock resistance, withstanding drops test from a height of 5 meters.This design reduces the risk of damage from dropping when swapping the card out frequently at busy shooting locations. 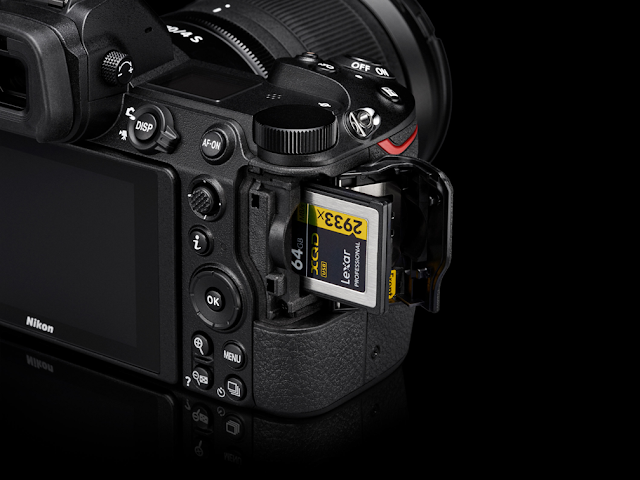 THOUGH is the world's first rib-less, with no write protection switch design SD card. THOUGH is the world's fastest SD card. Get the most out of burst shooting. Sony developed high-speed capture technology to achieve the world's fastest write speed of up to 299MB/s. 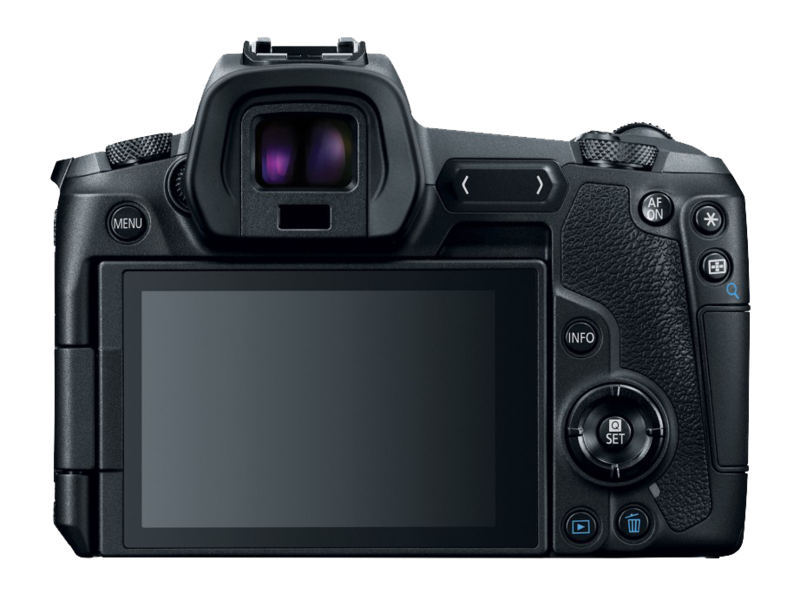 Along with the supporting UHS-II interface, this revolutionary write speed maximizes the burst-shooting capabilities of high-end DSLRs. 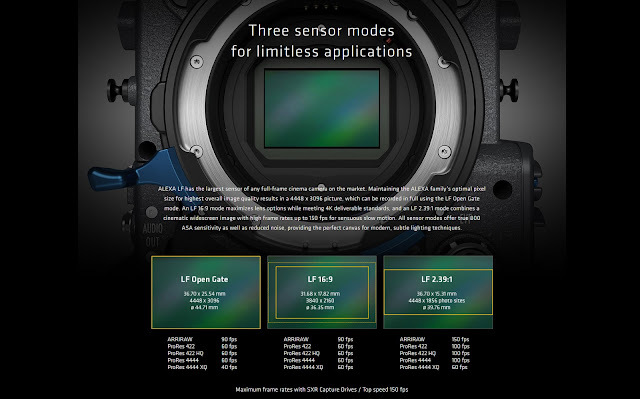 The SF-G series supports the continuous shooting of 241 compressed RAW or 362 JPEG images when shooting by Sony α9, which has burst-shooting capability up to 20 frames per second. Dependable High-resolution 4K Video Recording, with the world's fastest write speed, up to 299MB/s, the SF-G series memory card can record high-quality 4K video. It supports V90, highest standard of video speed class, UHS speed class 3* and SD speed class 10 formats. Highest level of water proofing (IP8X) and dust proofing (IP6X). Completely sealed with monolithic structure, this card is waterproof (compliant to IPX8) and recorded data is undamaged even if the card is submerged in 5 meters of water for up to 72 hours. Also, completely sealed with monolithic structure, the card is dust proof (compliant to IP6X) and keeps out all dust particles, and can be used in severe shooting environment. Even if the card is used in dusty or dirty areas or dropped in mud, it can be washed in fresh water and wiped off to be used again for perfect flexibility. In addition to the world's highest level of durability, this card offers has X-ray proof(ISO7816-1), Magnet-proof, Anti Static, temperature proof, UV Guard, and wide-ranging compatibility with major UHS-II supporting DSLR and mirrorless cameras. 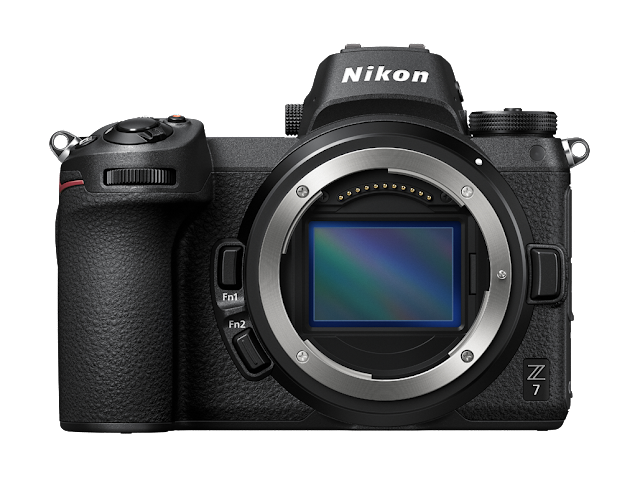 Nikon Introduces Z Mount System, and Full-Frame Mirrorless Cameras: Nikon Z 7 and Nikon Z 6. 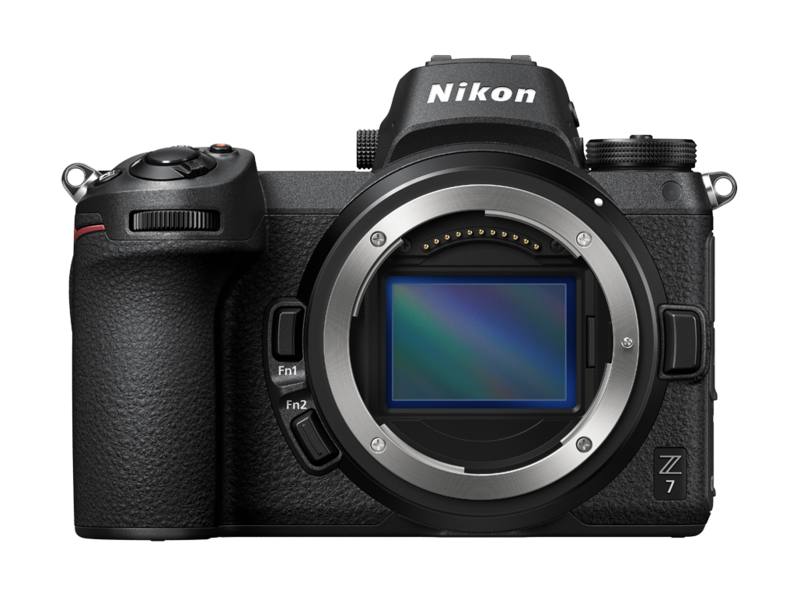 The Z 7 and Z 6 are equipped with the new EXPEED 6 image-processing engine. Employing the superior resolving power of NIKKOR Z and NIKKOR F mount lenses, subjects are rendered more sharply than ever before. Noise is also effectively reduced. Additionally, a mid-range sharpening option has been added to Picture Control sharpness parameters. This option, along with existing sharpening and clarity parameters, allows users to make various textures within the screen sharper or softer, for both still images and video3. The cameras also offer 20 options of Creative Picture Control, supporting creative imaging expression. The effect level is adjustable from 0 to 100. The electronic viewfinder adopted for the Z 7 and Z 6 is comfortable and easy to use, comparable to optical viewfinders. Both cameras are equipped with an electronic viewfinder for which an approximately 3690k-dot OLED panel has been adopted. The electronic viewfinder has frame coverage and magnification of approximately 100% and 0.8×, respectively, as well as an approximately 37.0° diagonal viewing angle. 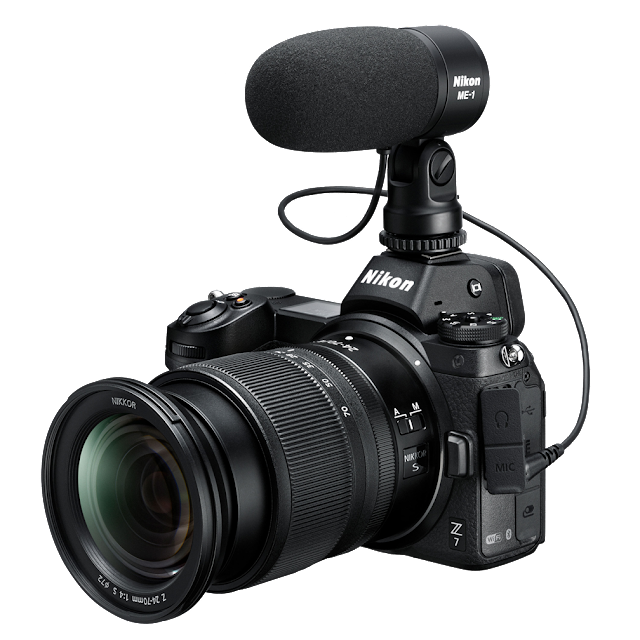 It draws on Nikon's superior optical technologies and image-processing technologies, ensuring a clear and comfortable view, with reduced aberration and minimum eyestrain, even during extended shoots. Furthermore, a fluorine coat that effectively repels dirt has been applied to the eyepiece protection window. 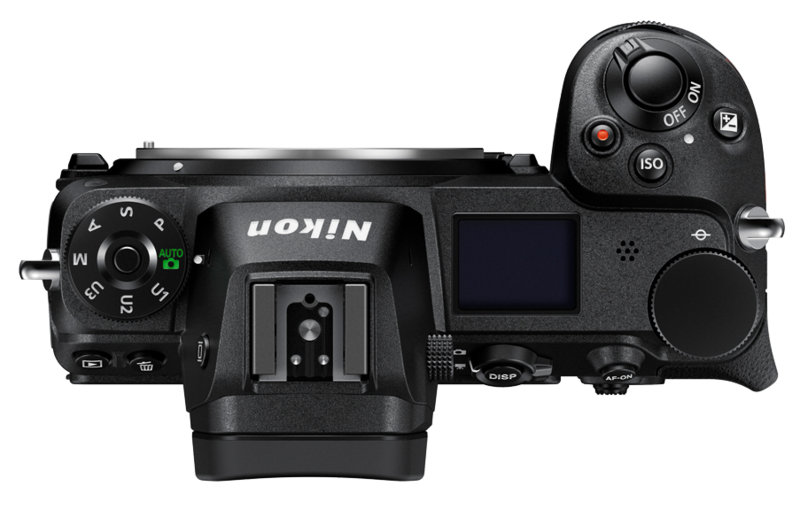 In addition, the menu can be displayed in the electronic viewfinder, allowing users to quickly view and adjust a variety of shooting settings, including ISO sensitivity, AF-area mode, and Picture Control, all while looking through the viewfinder. The Z 7 and Z 6 support recording of not only full-frame 4K UHD (3840 × 2160)/30p movies using the FX-based video format, but also Full-HD/120p movies. Sharper 4K UHD movies are made possible, using the full-pixel readout4. 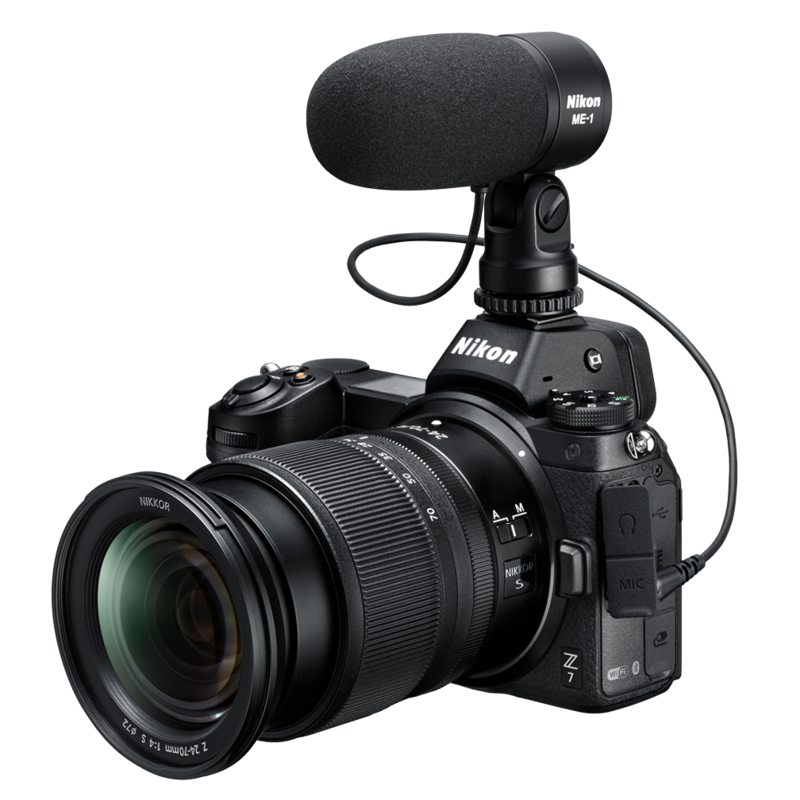 Additionally, Active D-Lighting, electronic vibration reduction, and focus peaking can be used with 4K UHD and Full-HD movie recording. 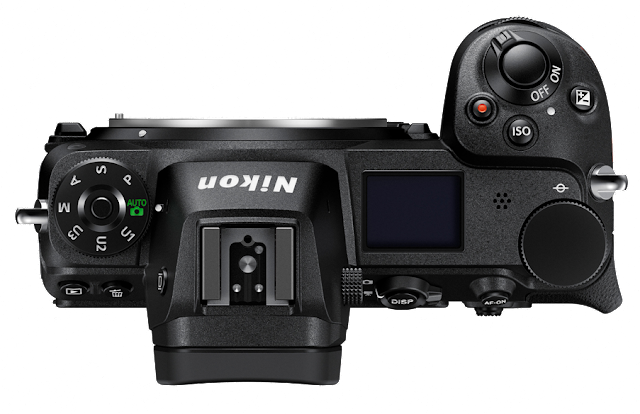 Nikon’s original N-Log color profile can also be used with 10-bit5 HDMI output. The N-Log setting utilizes extensive color depth and twelve-stop, 1,300% dynamic range to record a wealth of tone information from highlights and shadows for more effective color grading. 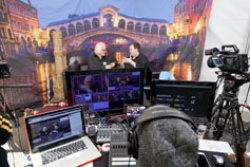 Timecode support makes synchronizing video and sound from multiple devices easier. Additionally, the control ring built into NIKKOR Z lenses can be used to quietly and smoothly adjust settings such as aperture and exposure compensation. The Z 7 and Z 6 are built for video. 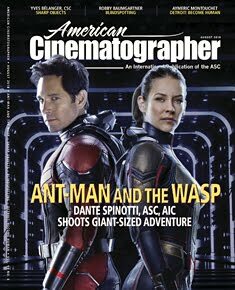 Portable cinematic powerhouses. Bend time with ultra-smooth 1080p 120 FPS slow motion sequences. Preserve maximum detail, dynamic range, shadows and highlights for more control and creativity in post-processing with the new Nikon N-Log. 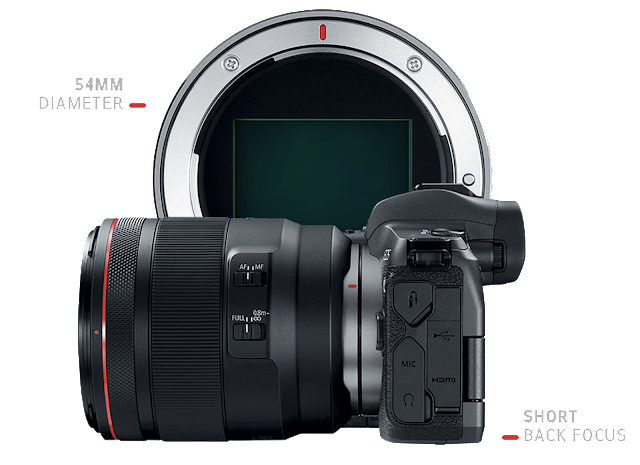 Full-frame 4K Ultra HD. Cinematic 16:9 4K UHD/30p video with the sharpness and dynamic range of Nikon’s full-frame image sensors. Hybrid AF for video. Silky smooth, near-silent AF with automatic switching between phase-detect and contrast-detect AF. 10-bit HDMI Output. 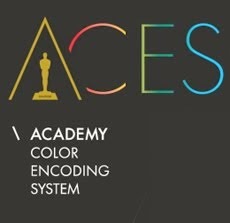 Record uncompressed footage with 64X more color data directly to an external capture device,compared to 8-bit. Requires optional HDMI Connecting Cable. 8K Time-lapse. 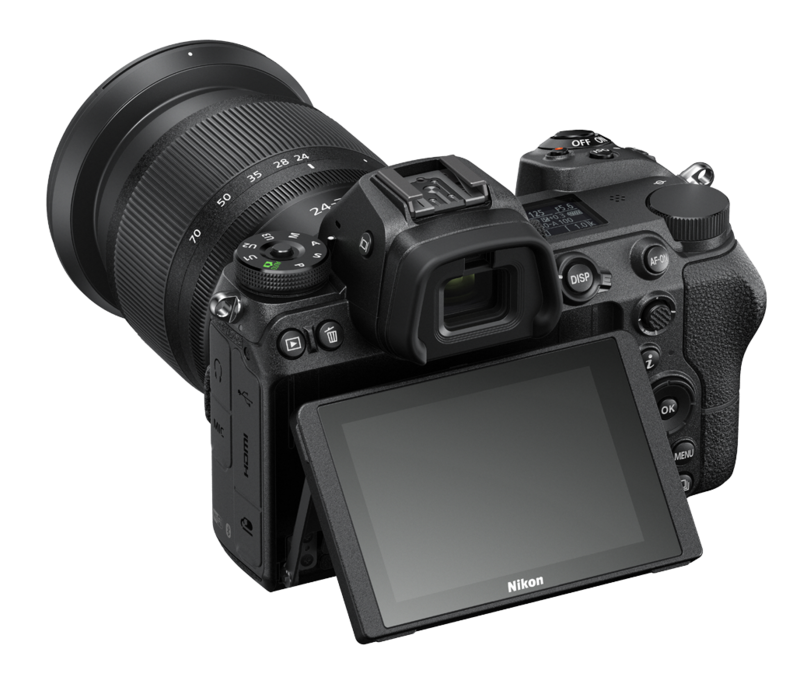 Same level of strength and durability, as well as dust- and drip- resistance, as the Nikon D850, offered in a compact body.A 3.2-in., approximately 2100k-dot touch-sensitive LCD monitor, with a tilting mechanism. Silent photography function eliminates shake and noise caused by shutter release. 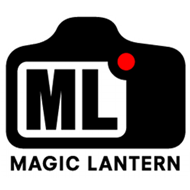 An extended low-light metering range allows users to easily capture scenes such as the transition from sunset to starry night sky, using aperture-priority auto exposure. Built-in Wi-Fi® for direct connection to a smart device using SnapBridge Built-in Wi-Fi® makes the transfer of images and movies to a computer possible Support for existing digital SLR camera accessories such as the EN-EL15/a/b batteries, WT-7/A/B/C Wireless Transmitter (available separately) for transferring images and movies at high speed over a wired or wireless LAN, and radio-controlled/optical controlled Advanced Wireless Lighting, which makes flexible multi-flash photography possible. 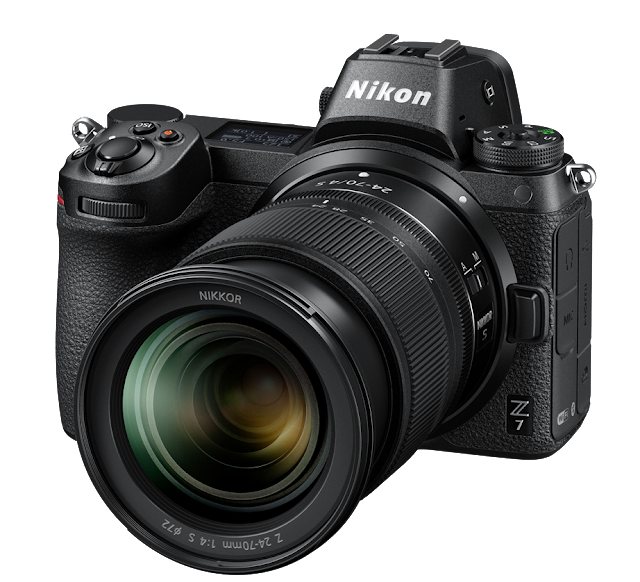 The Nikon Z 7 will be available September 27 for a suggested retail price (SRP) of $3399.95 for the body-only configuration, or for $3999.95 SRP as a kit with the new NIKKOR Z 24-70 f/4 S lens. 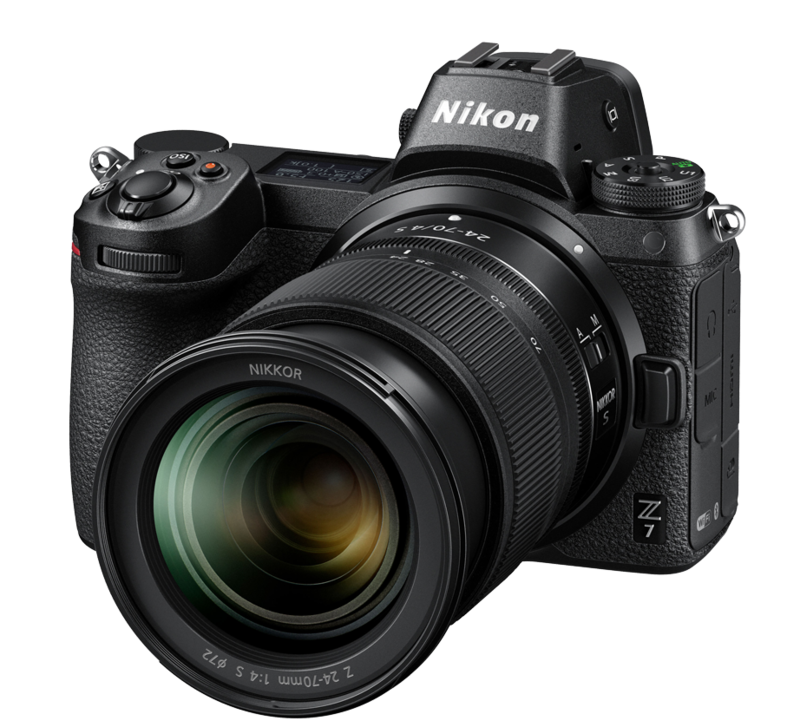 The Nikon Z 6 will be available in late November for the $1995.95* SRP for the body only configuration, or for the $2,599.95 SRP with the NIKKOR Z 24-70mm f/4 S lens kit. 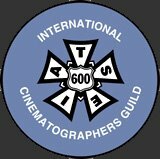 On the following video, Sony's Peter Crithary talks about what is new with the Sony Venice Version 2 Firmware, including variable frame rates, ProRes capabilities, simultaneous recording, false color, user uploadable 3D LUTs, new imager modes, native E-Mount, Dual Base ISO 2500 mode, wired LAN control and more. VENICE is equipped with a 36x24mm full-frame image sensor, designed specifically for the demands and performance of high end cinematography, and can capture images up to a maximum resolution of 6048 x 4032. 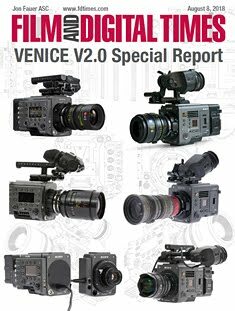 By switching imager modes, VENICE can natively support Super35 24.9×18.7mm, 4096 x 3024 resolution (equivalent to 4-perforation motion picture film) and Super35 24.9×14.0mm 4096 x 2160 resolution (equivalent to 3-perforation motion picture film). 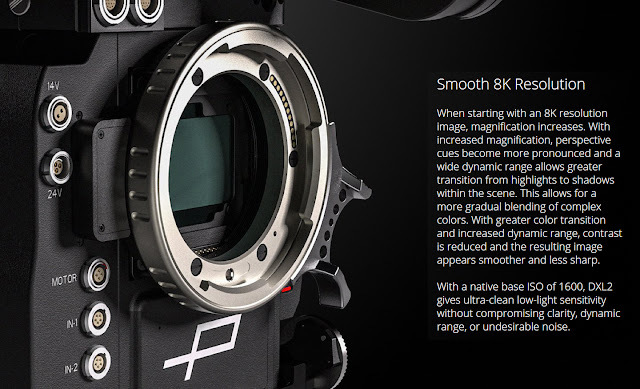 VENICE’s new full-frame sensor can capture in almost any format, including full 18mm-height Super35 anamorphic and spherical and full-frame 24mm-height anamorphic and spherical. Almost any aspect ratio can be conjured up: 1.85:1, 2.39:1, 17:9, the list goes on in full-frame or Super35. 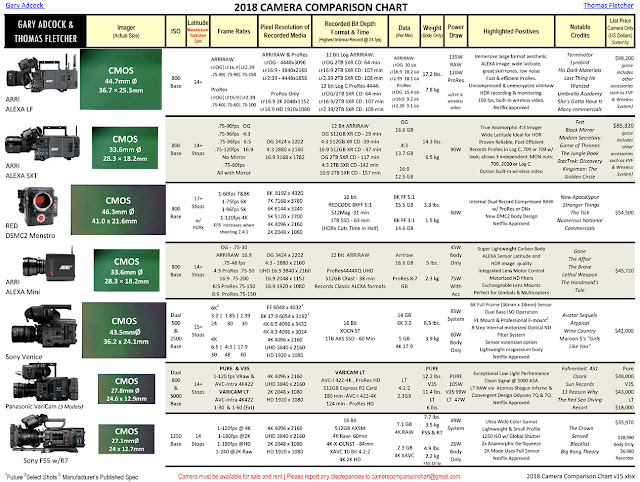 2018 CAMERA COMPARISON CHART. 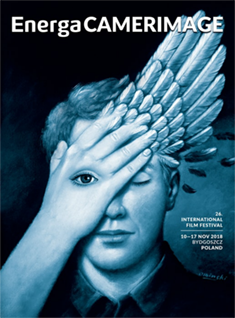 ARRI. 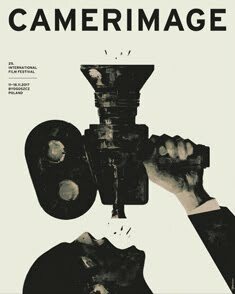 BLACKMAGIC DESIGN. CANON. KODAK. PANASONIC. RED. 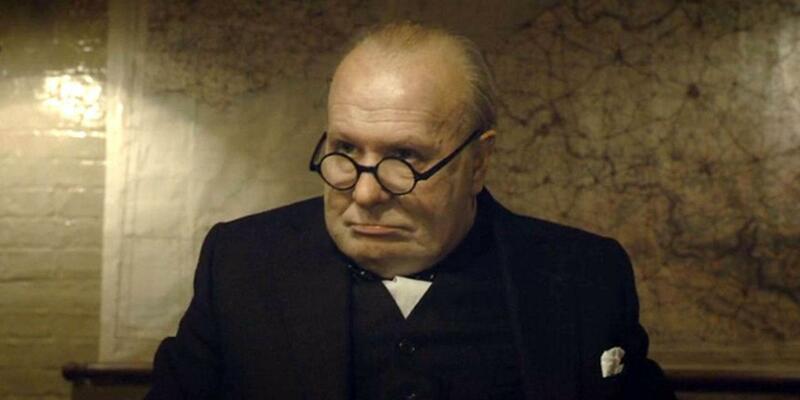 SONY. 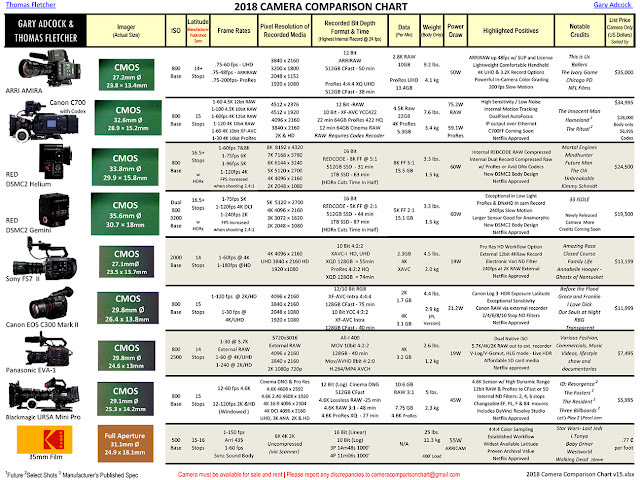 2018 Camera Comparison Chart. 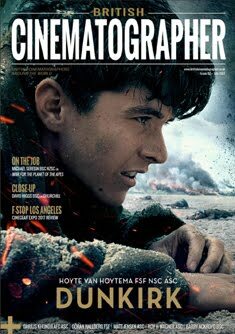 ARRI - Blackmagic Design - Canon - Kodak - Panasonic - RED - Sony. 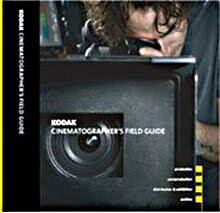 Compiled by Thomas Fletcher and Gary Adock with information gathered from numerous conversations with various cinematographers, rental houses, and manufacturers. Please note portions of these chart are subjective. This is not scientifically tested and collected data. 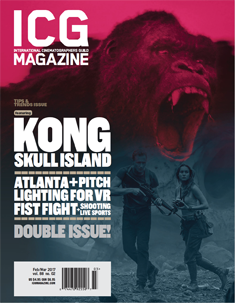 We have sincerely tried to assemble accurate information to share with the industry. 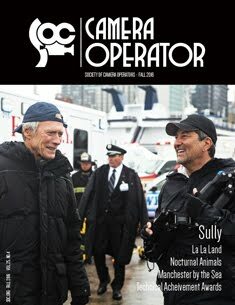 Our goal is to help producers make an educated decision in a rapidly changing camera and optical landscape - that said - numbers do not tell the whole story - look at the images and consult your cinematographer. We encourage you to test for yourself! 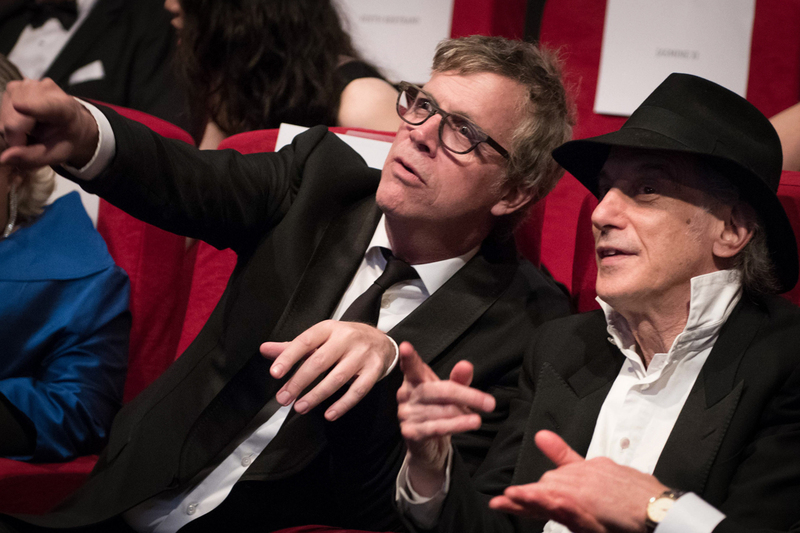 Cinematographer Edward Lachman ASC, walk the red carpet of the Palais des Festivals at the 71st Festival de Cannes to receive the 2018 Pierre Angénieux ExcelLens in Cinematography, accompanied by film director and long time collaborator Todd Haynes. He was escorted also by Raphaël Keller, Director of Innovation Video and Technical industries at the CNC- Centre National du Cinéma et de l’Image Animée, Severine Serrano, Managing Director, Angénieux International Sales & Marketing, and Emmanuel Sprauel, Vice-President of Angénieux and Cinematographer Cecile Zhang. 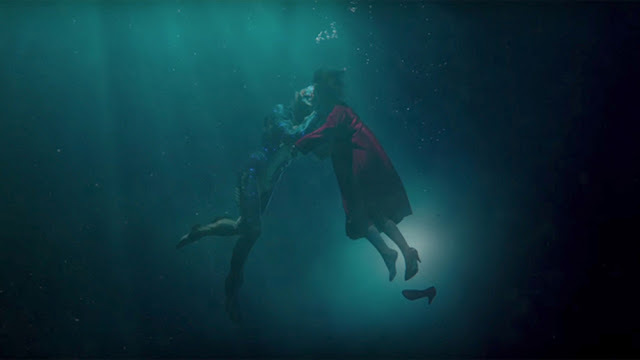 Lachman was the cinematographer on four movies directed by Tod Haines, Far from Heaven, I’m not There, Carol and Wonderstruck. A delegation of the new artistic generation posed in a photo call with cinematographer Ed Lachman. 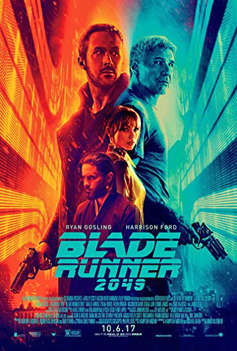 Among the actors were, American actor Michael Pitt, French actors Élodie Bouchez and actor Nahuel Pérez Biscayart, and French-Spanish actress Astrid Bergès-Frisbey. 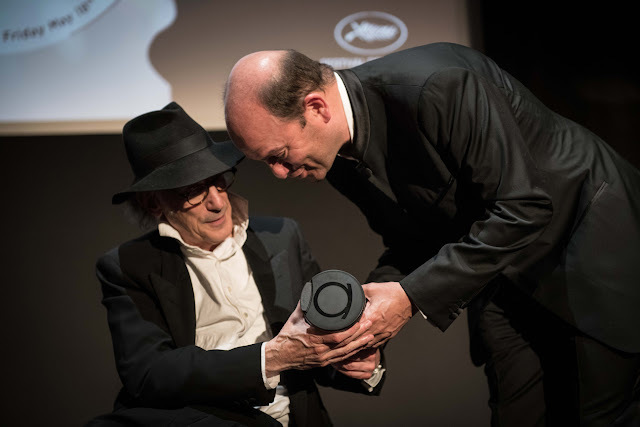 Edward Lachman received an Angénieux Optimo 28-76 lens specially engraved to his name as a trophy, from Emmanuel Sprauel, Vice-President Angénieux brand who said: "As the President of the Angenieux brand, be sure all people in Angenieux share the passion to help you bring your vision to life. We all are truly dedicated to make the best products for your eyes and hands so that you can simply forget them because it simply suits you the best", said Sprauel. 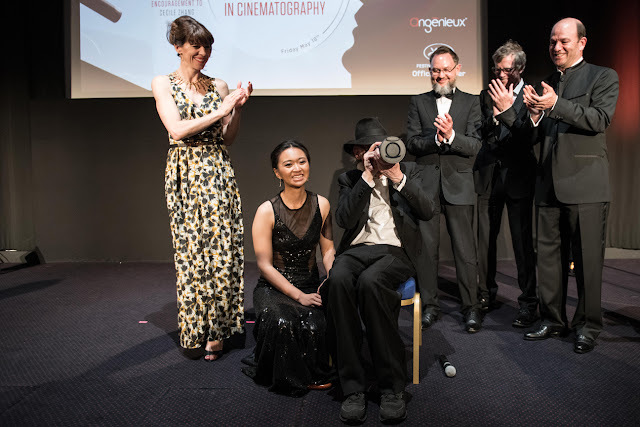 Angénieux also distinguished Chinese young cinematographer Cecile Zhang (right) who graduated with honors from the Beijing Film Academy – got the opportunity to use an Angénieux zoom lens of her choice on her next project. She received this Angénieux special encouragement from Severine Serrano’s (far right) Angénieux Managing Director and famous Chinese actor Xu Zheng. 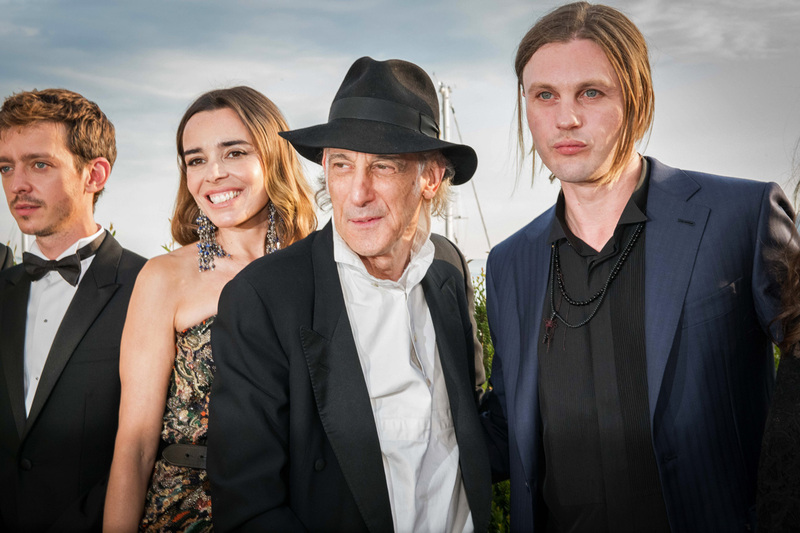 The ceremony reached a particular emotional point with an impressive series of video testimonials from directors, actresses and actors who crossed Ed’s creative life (Christopher Doyle, Julianne Moore, Mark WIener, John Malkovich, Volker Schlondorff, Peter Sellars, Ulrich Seidl, Michelle Williams, Werner Herzog, Willem Dafoe, Sofia Coppola, Greta Gerwig, Steven Soderbergh, Meryl Streep, Wim Wenders) and a very nice attention from Daft Punk member and former creative collaborator Thomas Bangalter from Random Access Memories Album release time. 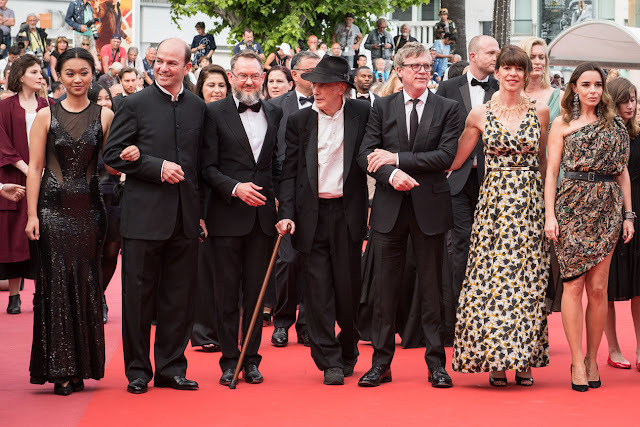 The Pierre Angénieux ExcelLens in Cinematography award ceremony pays tribute to a director of photography whose work has marked the history of world cinema. 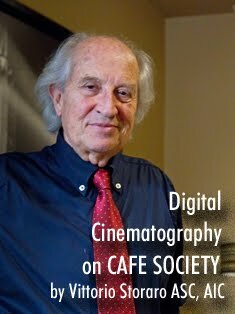 After Philippe Rousselot (2013), Vilmos Zsigmond (2014), Roger A. Deakins (2015), Peter Suschitzky (2016), Christopher Doyle (2017), Edward Lachman distinguished cinematographer is the 6th awarded. 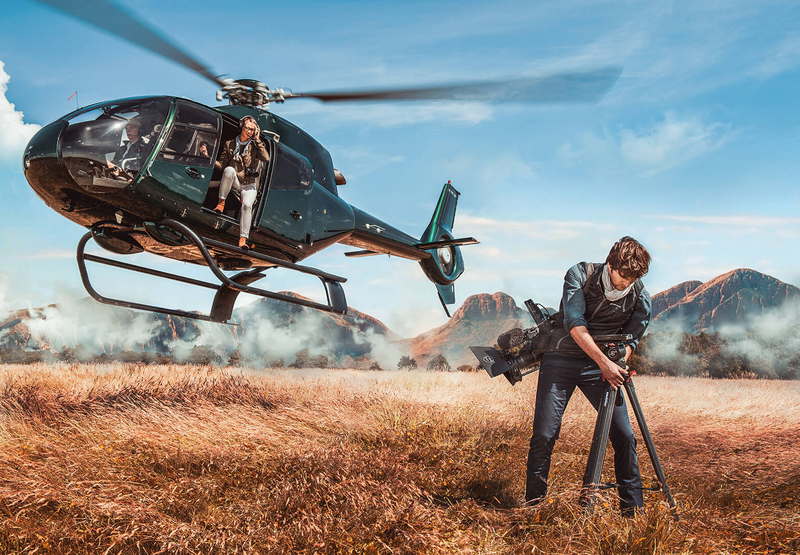 ARRI launched at the BSC Expo in London a complete large-format system that meets and exceeds modern production requirements, delivering unprecedented creative freedom. 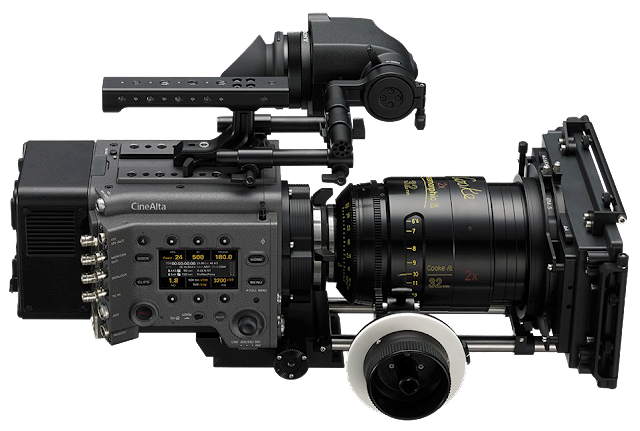 Based on a large-format 4K version of the ALEXA sensor, the system comprises the ALEXA LF camera, ARRI Signature Prime lenses, LPL lens mount, and PL-to-LPL adapter. It is also compatible with existing lenses, accessories, and workflows. 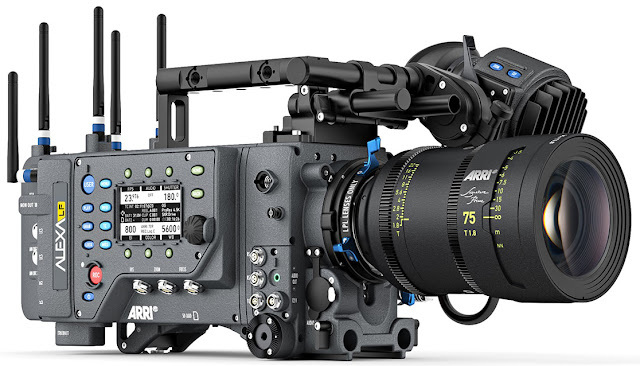 Featuring a sensor slightly bigger than full frame, ALEXA LF records native 4K with ARRI’s best overall image quality. Filmmakers can explore a large-format aesthetic while retaining the sensor’s natural colorimetry, pleasing skin tones and proven suitability for HDR and WCG workflows. Versatile recording formats,including efficient ProRes and uncompressed, unencrypted ARRIRAW up to 150fps, provide total flexibility. Accompanying the ALEXA LF camera are 16 large-format ARRI Signature Prime lenses, ranging from 12 mm to 280 mm and fitted with the ARRI LPL mount. 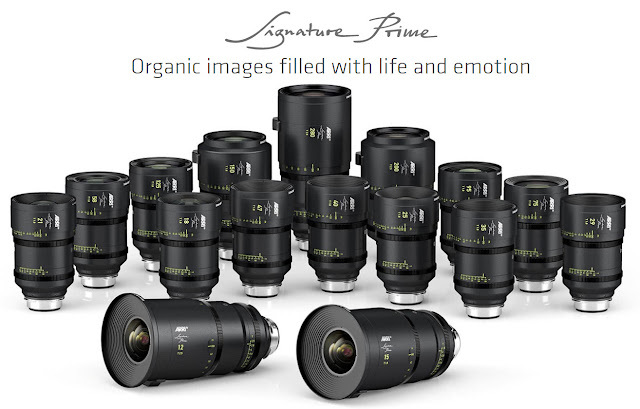 While the Signature Primes exemplify state-of-the-art optical precision, they render organic, emotionally engaging images, gently softening and texturizing the large format. A fast T-stop of T1.8 facilitates shallow depth of field and the smooth focus fall-off gives subjects heightened presence in the frame. 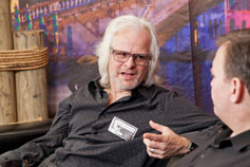 Thorsten Meywald, ARRI Product Manager for Optical Systems, comments: “The ARRI Signature Prime lenses are incredibly lightweight and robust, due to the magnesium lens barrels. 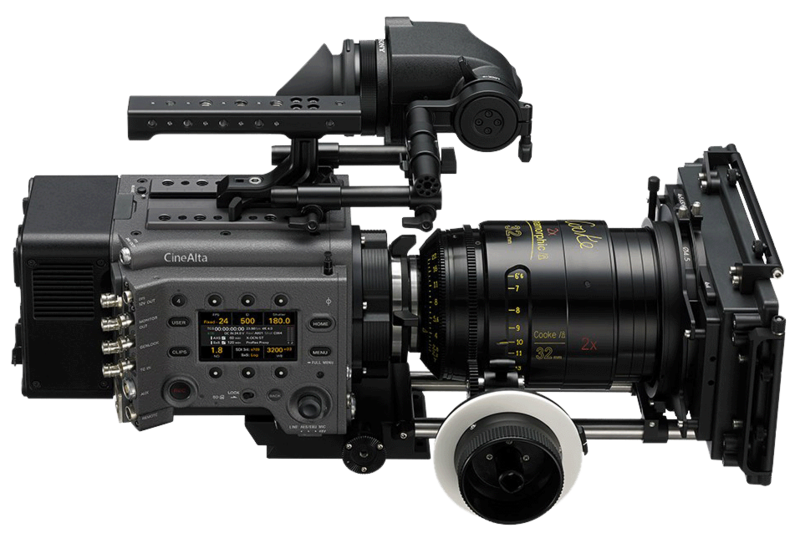 They also feature LDS-2, ARRI’s next-generation Lens Data System. 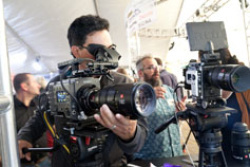 Backwards compatible with lenses, accessories, and workflows Although the camera, lens mount, and lenses are new, full compatibility with existing PL mount lenses and ALEXA accessories is a cornerstone of the system's design. A PL-to-LPL adapter offers backwards compatibility with all PL mount lenses, whether Super 35 or full frame. 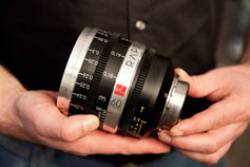 The adapter attaches securely to the LPL lens mount without tools, allowing crews to rapidly switch between PL and LPL lenses on set, and offering cinematographers an unlimited lens choice. 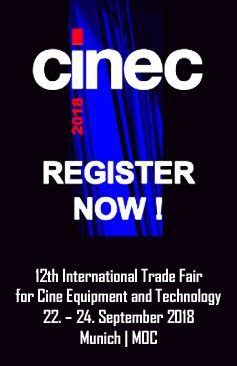 “As always, we want to make sure that our customers get the best possible return on their investments in ARRI equipment,” says Stephan Schenk, Managing Director of ARRI Cine Technik and responsible for the business unit Camera Systems. 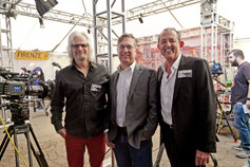 “Providing compatibility with existing lenses, camera accessories, workflows, ARRI Look Files, lens metadata, and software tools makes it easier for crews to work with ALEXA LF on set and for rental houses to incorporate it into their inventories. We think the system sets a new standard for the future, but it also minimizes redundancies and leaves no one behind.” The first ALEXA LF cameras will be shipped at the end of March 2018. The initial set of four Signature Prime lenses (35 mm, 47 mm, 75 mm, and 125 mm) will be shipped in early June 2018. The remaining lenses will be available over the course of the year. For a complete technical report, see sidebar. 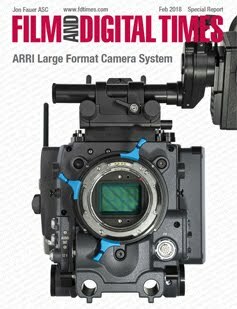 FDT ARRI LF standalone report. 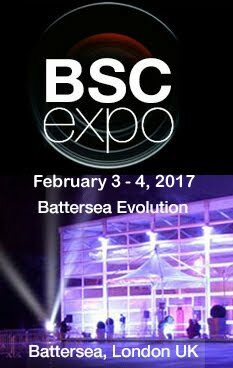 Panavision introduced the new Millennium DXL2 8K camera at BSC Expo 2018, running Feb. 2-3 at Battersea Evolution (Stand 502). 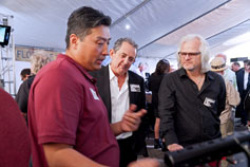 The large-format camera is the heart of a complete imaging ecosystem designed from filmmakers’ perspectives, seamlessly incorporating Panavision’s unmatched optics and camera architecture, the RED MONSTRO 8K VV sensor, and Light Iron color2 science (LiColor2). 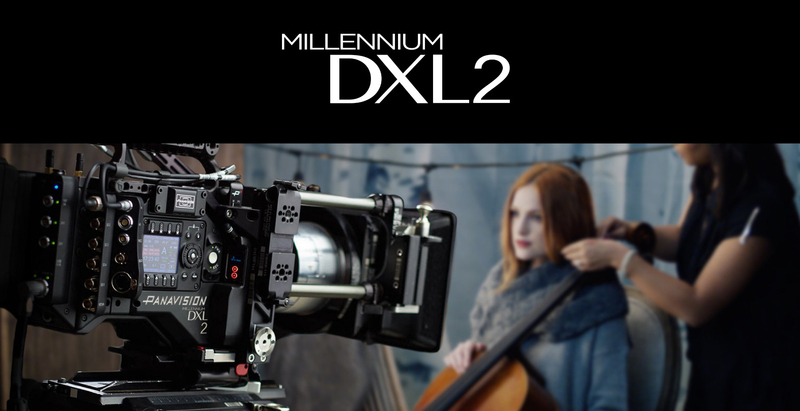 The DXL2 builds on the success of the Millennium DXL and benefits from Panavision’s unique and storied partnership with cinematographers, whose real-world experience and input are manifested in the DXL2’s many significant advances. The RED MONSTRO 8K VV sensor in the DXL2 offers a healthy 16-plus stops of dynamic range with improvements in image quality and shadow detail, a native ISO setting of 1600, and ProRes 4K up to 60 fps. Images are presented on the camera in log format using Light Iron color science. 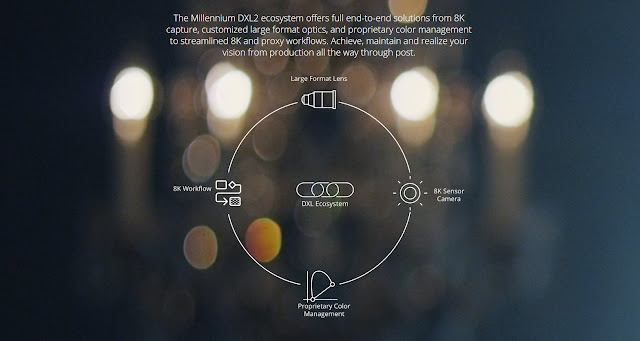 An integrated PX-Pro color spectrum filter custom-made for the DXL offers a significant increase in color separation and dramatically higher color precision to the image. 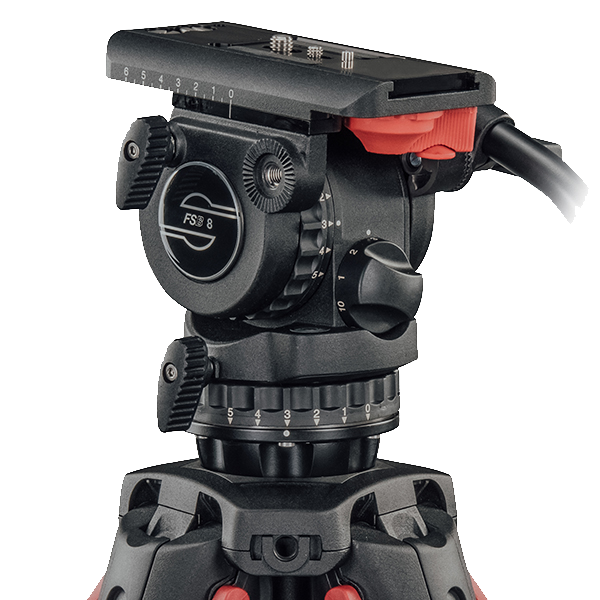 Built-in Preston MDR, 24v power and expanded direct-to-edit features are also standard equipment on the DXL2. An anamorphic flare attachment (AFA) offers a convenient, controllable method of introducing flare with spherical lenses. The 502 Bright displays 100% of Rec. 709 color gamut. The 1920x1080 resolution LCD screen provides full high-definition viewing. 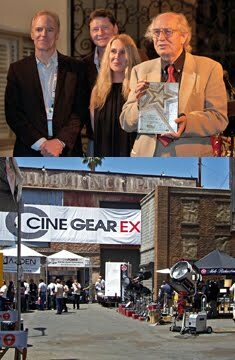 It utilizes SmallHD’s latest software, version OS3, which provides false color and waveform tools. The unit also features is a new battery meter and the ability to adjust color computer-free with the SmallHD Color Probe. The new 502 Bright weighs just 9.4oz (267.5g), and is 6.4"W x 3.4"H x 1.1"D (16.2 x 8.6 x 2.8 cm). Deliveries begin in February 2018 with an MSRP of $1299. 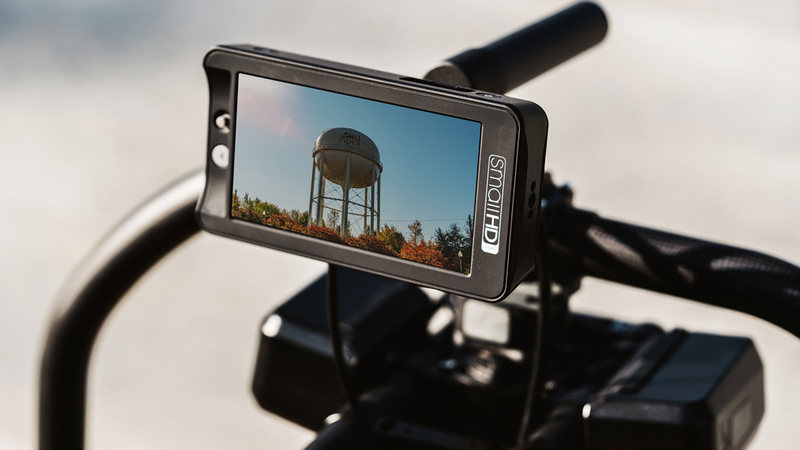 The 502 Bright is available from SmallHD authorized dealers or SmallHD’s website. 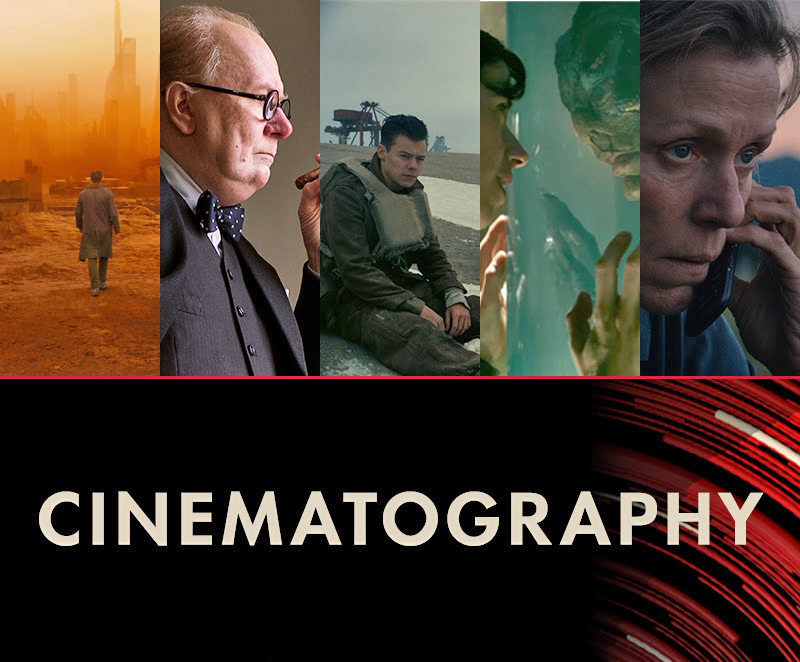 The American Society of Cinematographers announced the nominees in all five competitive categories for the 32nd annual ASC Awards for Outstanding Cinematography. 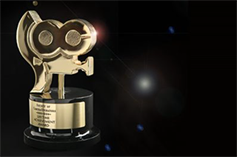 Four cinematographers selected as this year’s ASC Awards honorees were announced in October Russell Carpenter, ASC (Lifetime Achievement Award), Russell Boyd, ASC, ACS (International Award), Alan Caso, ASC (Career Achievement in Television Award) and Stephen Lighthill, ASC (Presidents Award). The winners will be revealed at the organization’s February 17 ceremony, which will be emceed this year by Ben Mankiewicz, a longtime host on Turner Classic Movies (TCM). 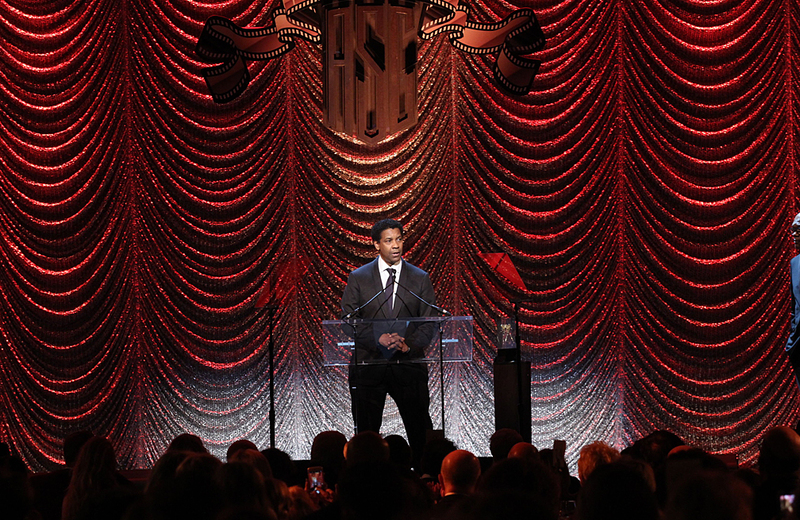 The event will be held at the Ray Dolby Ballroom at Hollywood & Highland. 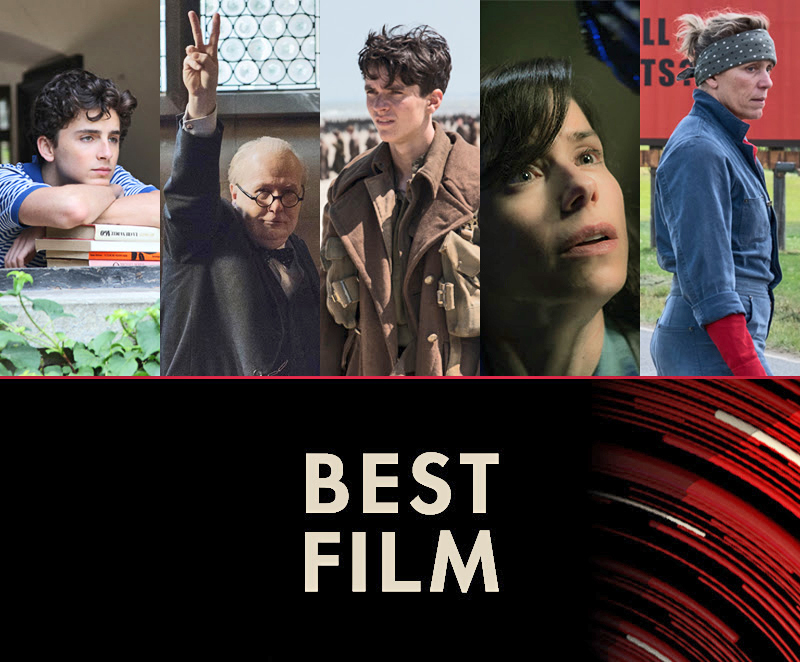 The British Academy of Film and Television Arts (BAFTA) announced this morning, their 2017 Nominations in all categories, all awards are presented Sunday 18, February 2018. 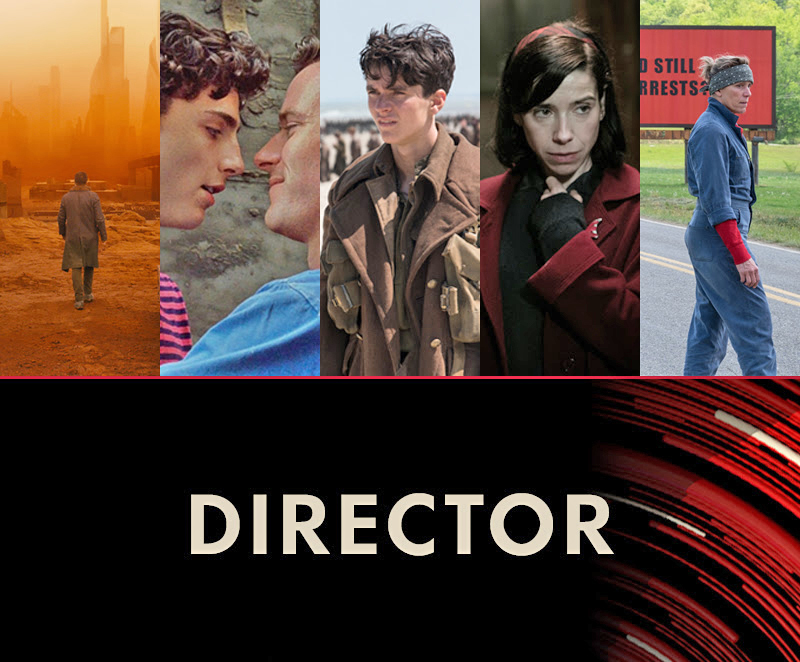 The nominations were announced this morning, January 9th by Natalie Dormer and Letitia Wright at BAFTA’s London headquarters, 195 Piccadilly. *Nominations are correct at the time of going to print. 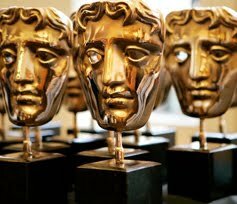 BAFTA reserves the right to make changes to the names listed at any time up until 18 February 2018.